No matter how much we try to look away, we all spend a ton of time watching videos online. There is no shame in it. Those puppy videos are adorable, and where else are you going to learn how to change your own oil if not YouTube? 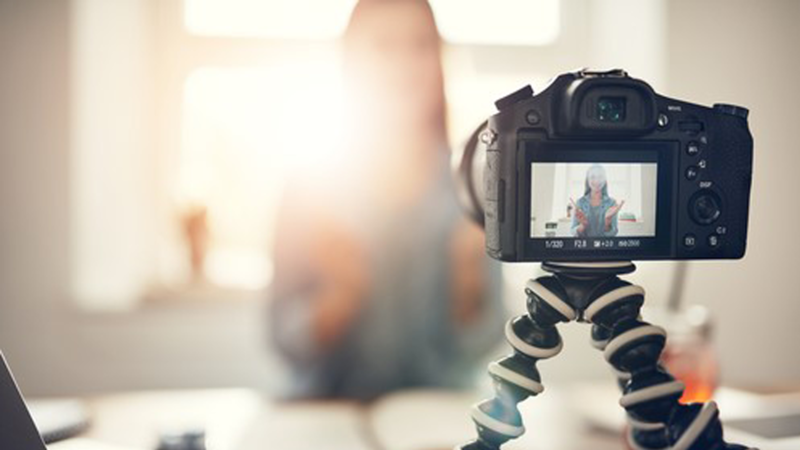 Companies and individuals alike can take advantage of this modern-age phenomenon in the form of cheap-to-make videos that subtly promote themselves, drive engagement, and — with a little luck — go viral to captivate the masses. The best part is that you don’t need to be Stephen Spielberg or Martin Scorsese to make an online video that becomes a hit. By understanding a few basic ways to approach your production, you too can make something people actually watch. YouTube and other leading video networks are now full of all kinds of content. Some are blockbuster movie trailers with exquisite production value and others are guerrilla-style DIY footage shot haphazardly on an old-model iPhone. The great thing is that both presentation styles — and everything in between — can be wildly popular and engaging. You do not necessarily need to put out sleek, polished videos. In fact, striving to only release such material can require quite a learning curve and is often a waste of time and resources in terms of how users interact with them. The goal should be instead to find a style that works for you in terms of being able to put something together regularly. Releasing one or two good but quickly put-together videos per month is much better than only uploading one or two Oscar-worthy clips each year. Simply stated: Don’t put style over substance. The bottom line is that you need to make videos that are either highly interesting or highly useful. That doesn’t mean you need to compete with Netflix documentaries that capture global attention or outdo Pixar animation studios. Depending upon your goals, you may just want to find interesting ways to demonstrate the things you are promoting. The “Will It Blend?” series from Blendtec, for example, is something of a nonsense campaign that ended up going viral anyway and earned the company millions of views in exposure. Seemingly dull knife sharpening how-to videos have also proved to be wildly popular within their niche. The same goes for car repair and lawn maintenance tips. Whatever your mission might be, you should just keep it simple, relatively short, and remember you are competing for views with every other clip on the entire internet. Do everything you can to understand why someone would want to watch your video and don’t waste their time. From Hollywood to the business world, there is a saying that holds a lot of wisdom: Fake it ’til you make it. When it comes to online videos, this can be a great path to figuring out what type of content you want to produce. And, just from a technical perspective, this will help teach you the fundamentals of how to put together a video. Watch a series of well-done videos for inspiration to see how they do it. Just in terms of editing alone — when to cut, how loud to play the music, what the ideal length should be — this can do wonders to improve your capability. Among companies, the Amway YouTube page is a great example of what to look for in terms of creating a signature style, making music choices, using visuals and more. Videos are everywhere now, and people continue to consume more hours of footage than ever before. It’s time to join in the fun and start earning more fans for your YouTube page, driving more traffic to your website, or just earning a larger following on social networks. The most successful video makers online tend to have fun with it and just let their personality or expertise shine. They rarely started with perfection but have refined their style over time to develop an audience. The same will likely to true for you. All you need to do is find a style that works for you, be interesting, provide the viewer with a reason to watch, constantly seek out inspiration, and copy those who have done it best to learn video-making fundamentals. Then, next thing you know, you too can be a video star on the way to the Walk of Fame.